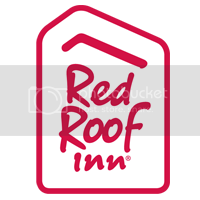 Experience Red Roof Madison, AL! Enjoy our NEWLY renovated hotel rooms with upgraded amenities, including wood-like flooring, spa-like restrooms, free WiFi, a microwave, mini-fridge, in-room coffee, hair dryer, ironing, and expanded cable with 2 HBO channels in each room. Book now! Visit the Huntsville U.S. Space and Rocket Center (6.8 miles), the world’s largest space attraction, to learn more about space travel and the final frontier. See real artifacts, rockets and tools. Fun for a solo trip or an exploration with family! Visit the beautiful Huntsville Botanical Garden (7.2 miles) and see breathtaking plants and flowers of all different species. Enjoy the serenity of nature. Take your family to the Early Works Children’s History Museum (11.1 miles). Explore, learn and grow as a family as you learn more about history and the world around us. Find some of the greatest deals and best fashions at the Madison Village Shopping Center (0.7 miles). Bridge Street Town Center (4.9 miles) is the area’s best in upscale shopping. Check out brands like Michael Kors and Kate Spade New York. Don’t miss the upcoming 2017 Panoply Arts Festival in downtown’s Big Spring Park! April 28-30, 2017 (10 mi away). Great food is right around the corner. Little Libbys Catfish (0.2 mile); Chuck Wagon BBQ, Wings to Go (both 0.5 mile); Cracker Barrel (0.9 mile); Ruby Tuesday (1 mile); Bisons Bar N Grill (2 miles); Asian City (3.9 miles); Connors Steak & Seafood, Old Greenbrier Restaurant, Outback Steakhouse, IHOP and Casa Blanca Mexican Restaurant (5-8 mi away). Find unique items, items with a history and a story at the Madison Station Antiques (1.3 miles). Filled with uncovered treasures and antiques for shoppers to discover. Check out local art at the Clay House Museum (4 mi away), built in the 1850s, housing a fantastic local art gallery. Visit Lowe Mill Arts & Entertainment (9 mi), containing 132 studios, 200+ artists, 6 galleries, and a theater. If you love trains or want to learn more about railroad history, there is no better spot than the North Alabama Railroad Museum (10.7 miles). Visit the museum to see preserved trains and railroad artifacts. One of the premier military bases in the country, the US Veteran’s Memorial Museum (11.5 miles) brings memorabilia and rare and important artifacts from the Revolutionary war all the way to the present day. Visit a family member or a friend, explore the campus or check out a sporting event at the following nearby campuses: University of Alabama Huntsville (7.4 miles), Calhoun Community College (8 miles), Oakwood University (9.2 miles) and Huntsville Bible College (11.4 miles). With so much to do and see, you will need a delicious breakfast in the morning to begin the day energized. Our inn offers a free continental breakfast as well as seasonal outdoor pool and grills! Our budget friendly location will also save you money on your stay, allowing you to experience more of the city. Gallup, New Mexico – A Must-See Destination!